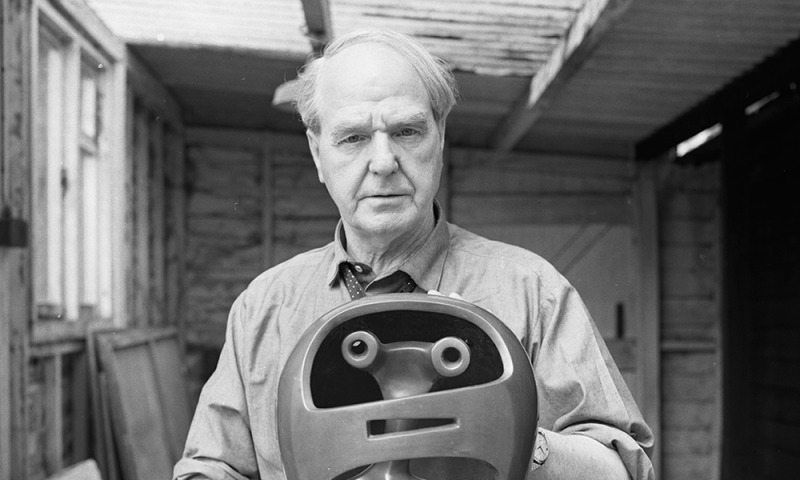 Portrait of Henry Moore with Helmet Head No. 2, 1967. This ground-breaking exhibition reveals the untold story of British sculptor Henry Moore's lifelong fascination with armour at the Wallace Collection, inspiring the creation of his celebrated Helmet Head series.